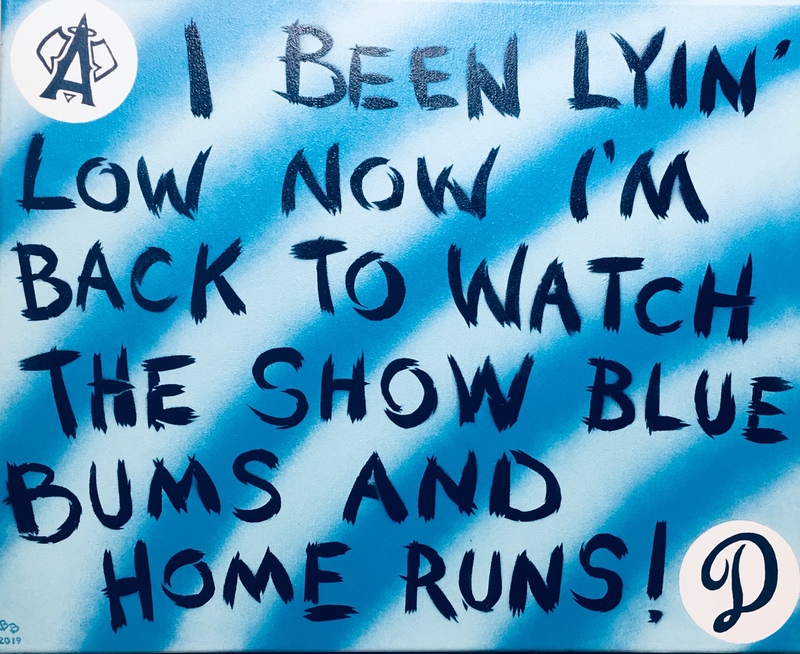 Blue Bums & home runs! Time to wear a big red beard! Doggers slam the chumps to shame! We’ve got fresh Blue arms! Break out shock & awe lumber! Snake fangs gnash against dog fangs! Dogger dawgs jerk fans around! Note: I got my dark days, when dem bums leave me sobbin’ in my beer. I done dis paintin’ whilst watchin’ Bye Bye Baez throw another one away. We scratch for the one hundred! Was This Just a Dream?